In March of 1955, two ex-IBM employees, Elmer C. Kubie and John W. Sheldon, founded Computer Usage Company (CUC) with the intention of offering computer program-development services. They started off with a staff of five working from their sole office in New York City. By 1967, their staffing number had increased to over 700, with 12 offices and a revenue of $13 million. CUC is known as the first independent company to develop and market computer software, and since then, much in the industry has changed, and the number of software-development companies has increased significantly. The amount of quality software-development choices consumers have now is great for companies looking to hire a team of developers to build their next application, but with so many options out there, how can they decide whom to hire? The main contenders are full-service development companies and outsourcing development companies. When comparing the two from a software-development point of view, their services may seem quite similar, but it’s only when you dig a bit deeper that the real differences start to emerge. Full-service development companies vs. outsourcing development companies: What are the main differences? As the name suggests, full-service development companies offer a wide range of software-development services before, during, and after an application’s lifecycle – typically UX/UI design and branding, software development and Q&A testing, project management, and system and application support and monitoring. As their involvement is quite substantial, their desire to produce a successful application is just as high as the client’s. As a result, full-service development companies behave more like a technological partner, rather than just a contractor. Outsourcing companies (also known as body-leasing companies), on the other hand, only provide resources. Their role is strictly to provide the required amount of contracted developers (e.g. four PHP developers). The business relationship with a client often ends when the last line of code has been written, and therefore, interest in your application’s success isn’t as high as the interest present in full-service development teams. While it may seem more attractive to hire an outsourcing company to build your application’s codebase, and then fill in the gaps by hiring freelancers and other small companies for the rest, finding a trustworthy, full-service development company that can centralize all of your software-development needs will prove more cost-effective, more fruitful, and less stressful than any other options combined. By partnering with a full-service development company, you are essentially handing over all of your technological requirements to one team that can design, create, and implement a complete software solution. It’s also worth mentioning that the seamless cooperation between each department within a full-service company is an advantage that is incredibly hard to achieve with outsourcing companies. Communication is key, and broken (or worse – nonexistent) communication lines are a surefire way to shift your project from drive into reverse. Full-service development companies provide many benefits – both in their internal structure and also in their services. They generally employ a large staff – You’ll have access to a large number of highly skilled software professionals. You also won’t have to worry about recruitment, upsizing and downsizing your team, or any other HR-related headaches. Dedicated project teams and project leaders – Project and software managers will relieve you of all project-management responsibilities and provide you with a unified point of contact for all areas of your application’s lifecycle. This setup will also allow you to manage the business from the boss’s office, not micromanage to it in the project rooms. They develop software according to the agile methodologies – By far, the two most common software development methodologies are agile and waterfall. There has been an ongoing debate for many years over which methodology produces the highest number of successful projects. During this time, a number of studies have been undertaken to answer that very question. The results of many of these studies show that agile produces more successful projects and positively impacts other areas, such as product quality, stakeholder value, ROI, and time/schedule than the waterfall method. Apart from the success rate, agile also strengthens the client/developer relationship, provides greater transparency into the project, and most importantly, only charges the client for the work that is being done – therefore allowing the client to optimize their budget and get the most bang for their buck. They bill their services on an hourly rate – Another important element that is strongly related to the project methodology is the pricing model; that is, how the software development company charges for their services. The two main payment methods offered are the hourly-rate model and the fixed-bid model. Just like in the case of the project management methodologies, the payment models also play a huge role in the success or failure of a project. The two models, hourly rate and fixed bid, often align with the project management methodologies – agile and waterfall respectively. They behave more like a technology partner – Partnering with a team that shares your vision and goals adds invaluable benefits to your business. The overall engagement factor is much higher with full-service teams, which results in a stronger partnership and a common desire to produce a successful application. The two main non-programming services provided by full-service development companies are just as important as building the application’s codebase. These are design and branding and application monitoring and support. Just ask any designer (UX/UI, graphic, or even a frontend designer) and they will happily tell you their importance in the grand scheme of software development. Branding – Creating a unique and consistent image that evokes positive emotions is a fundamental aspect, as it builds recognition and creates long-term emotional ties with a brand. User experience (UX) – The user journey and the experience the user has when operating the application is paramount and a common element in all successful applications. Producing the right look and feel, coupled with the right user task flows, is essential in capturing loyal and happy clients. User interaction (UI) – The combination of articulate information architecture and the right amount of dazzling graphics optimizes the users’ interaction with the application, allowing them to easily navigate around the application and complete their desired goals. The extremely close designer-developer cooperation is a vital part of all successful applications. Small changes in design can mean very large implementation on the backend. Both designers and developers need to be in sync for the whole team to deliver a quality application. Having a talented team of UX/UI designers on board will not only ensure your application is aesthetically pleasing, it will also allow your users to complete their goals, effortlessly navigate around your application, and associate positive images with your business. Once your application has been released, you probably think it’s time to shift your focus away from the application and on to attracting clients and venture capital. That’s true to some extent – your focus should be on the business side of the application, but someone will definitely need to keep an eagle eye on your application’s performance. Supporting and monitoring your application post-launch is just as important as building it. The last thing you want is for your application to experience unexpected issues and costly downtime – especially when you are in the client-attracting phase, or worse, when you are presenting it to potential investors. 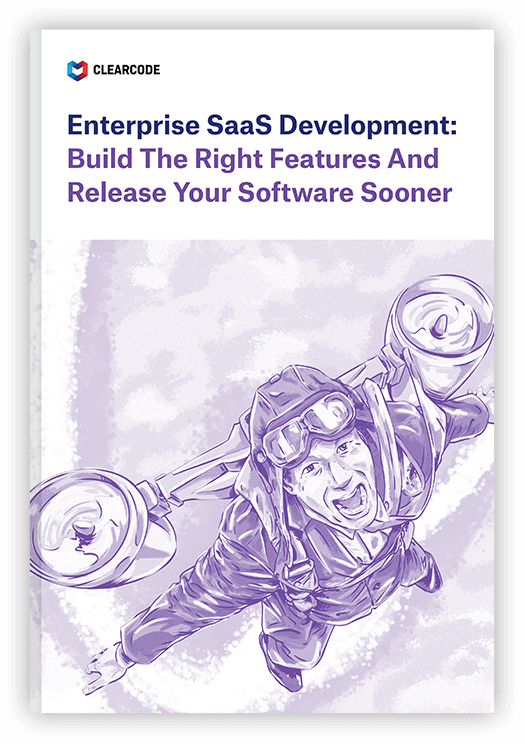 An important factor to keep in mind about the post-launch stage is that developing software is a progressive exercise – there is no such thing as a finished application. Further development, improvements, client issue resolvement, and just pure application maintenance will always be required. During this post-launch phase, it is possible you will need to scale down the number of developers assigned to your project while still maintaining the full competency of the team. Full-service software-development companies are able to accommodate clients in this situation and avoid negative outcomes. With outsourcing companies, however, it’s usually impossible to achieve this kind of developer downsizing, as the original dedicated resources are often replaced with new, unfamiliar resources. Finding a development company that provides all of these services will save you a lot more than just time and money. By working with this type of team, you are not only receiving complete software-development solutions from a motivated and liked-minded group, but you are also alleviating the many problems connected with developing software and are managing your business the way it’s supposed to be managed. Here at Clearcode, we have adopted the full-service software-development team model. We have found that this model provides our clients, both startups and big brands, with complete, innovative applications and software solutions. Our team also feels more engaged and connected with the project, which produces a high-quality application, strengthens client-developer cooperation, and builds long-lasting business relationships.